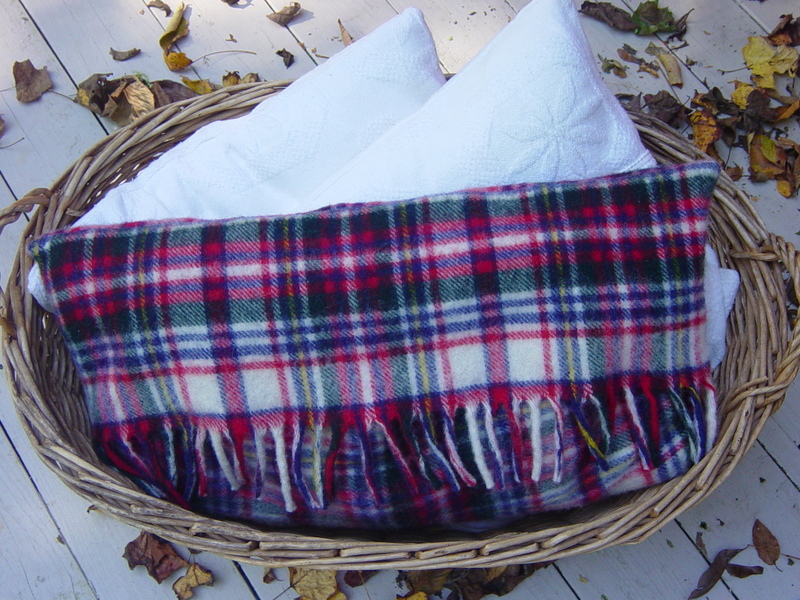 Here’s more information on how to upcycle a vintage wool blanket in case you wanted to try to sew one for yourself. I should probably pause here and give you a definition for the word “upcycle” since Debra and I use this word quite frequently and have had several people ask us for the meaning. To us, upcycling is taking an object in its original form and creating something new out of it. We appreciate the original product and seek to preserve its quality by transforming it into something even better. In my morning quiet time, this reminded me so much of what God does for us. He takes us, blemishes, stains and all and makes us into something new and better. Paul writes in 2 Corinthians 5:17 “Therefore, if anyone is in Christ, he is a new creation: the old has gone, the new has come”. We’re the same person, only upcycled into something better. Making these pillows are really quite simple and require only basic sewing skills. 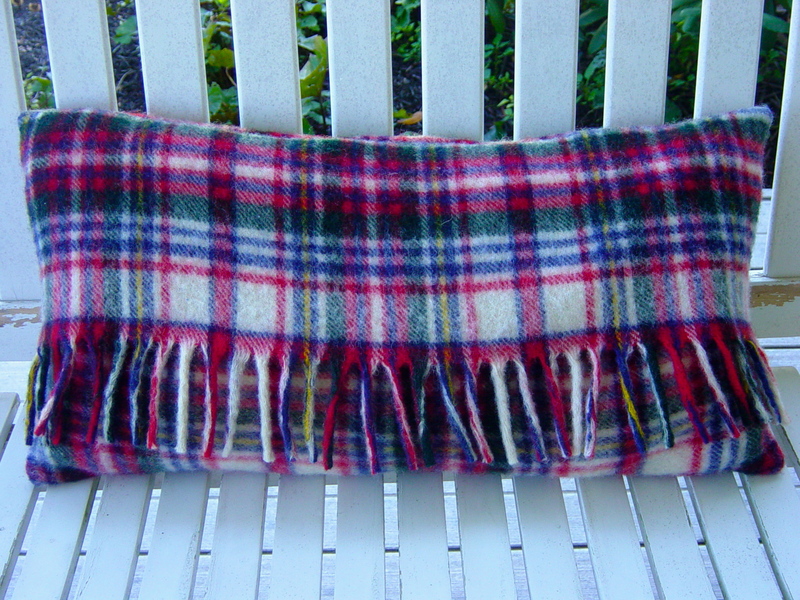 If you can sew a straight line, you can make this pillow. 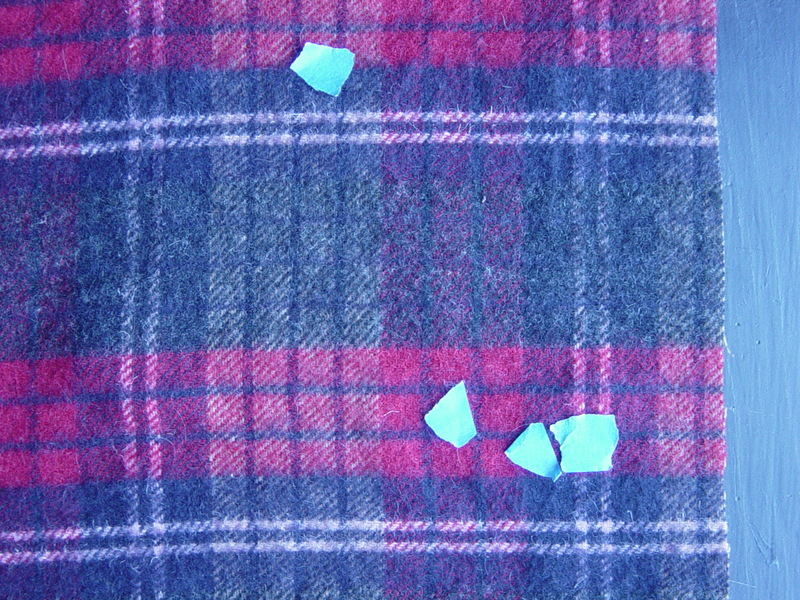 The first step is to lay out the blanket and mark the blemishes or holes. A good way to do this is to use tape, as you can see in the photo below. Sometimes it’s helpful to hold the blanket up to the light. 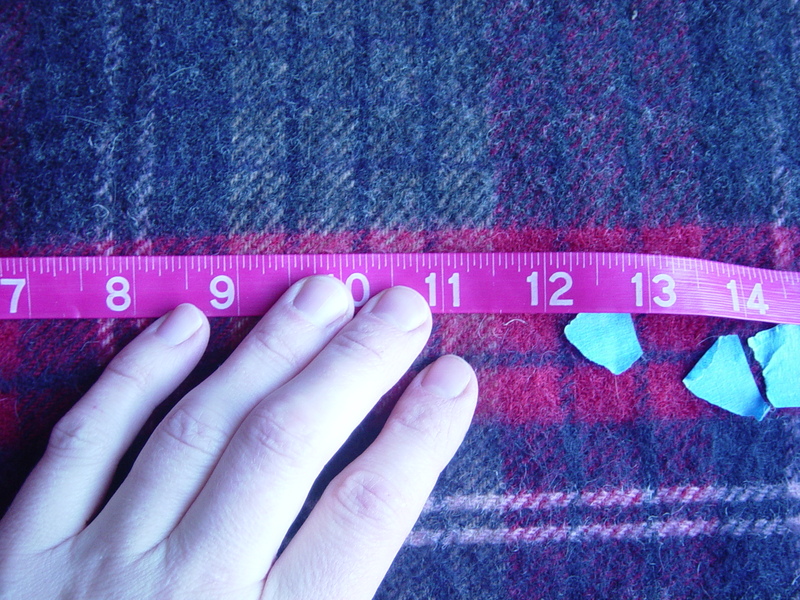 I then measure the material to figure out how to best utilize the fabric, being careful to avoid the problem areas. Cut the fabric allowing for a 1/2 inch seem allowance. There should be three pieces (two for the front and one for the back). 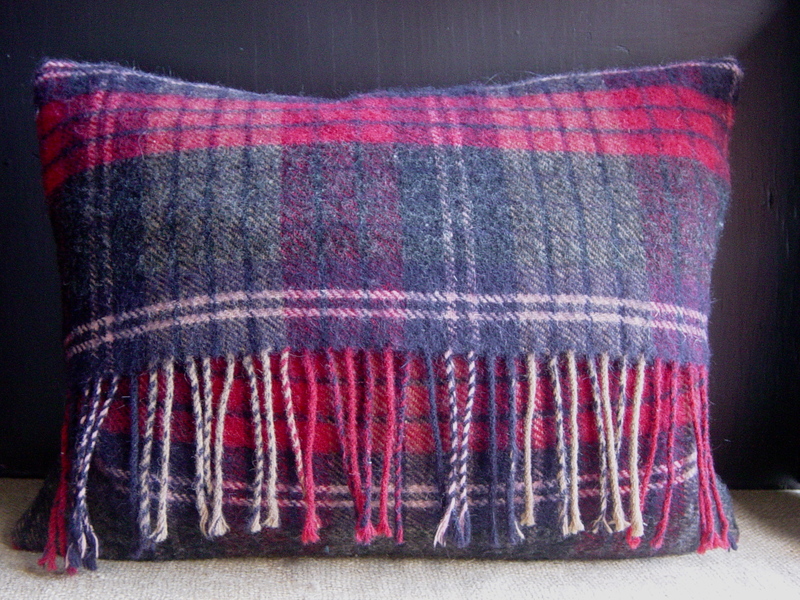 I like to use the fringe on the front of these pillows so I sew them up with an envelope enclosure (the fringe overlaps another piece of fabric). I find this to be the simplest way, as there is then no need for zippers or buttons and it makes good use of that beautiful fringe. Hope you’re inspired to try your hand at upcycling (whether it’s yourself or something else you’re inspired by). It’s well worth it. Very cute blanket pillows! 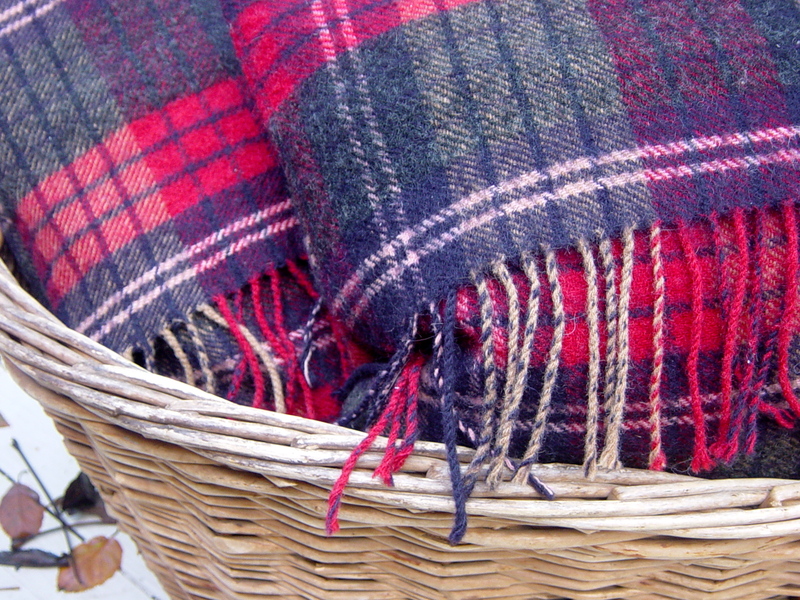 I am heading out soon to go thrift shopping and will look for a blanket to try this out. I love your comparison of upcycling and how God accepts us as we are and ‘upcycles’ us for His glory! Thanks for the post!